Camping is one of the rare pleasures that grant us a way to unwind from the stress of today’s lifestyle. It’s always nice to be able to pack up your things and go off on what is the closest thing to a Tolkienesque adventure that’s left to the average person. But, what if you’ve never done it? If you still haven’t popped the proverbial cherry? How to plan a camping trip when you don’t even know where to start? Don’t worry, we did the legwork for you and saved you some trouble. All you have to do is read on, get a piece of paper and take notes. First thing’s first – do you want to go with a group or play it solo? On the one hand, going with more people, especially your family, means more fun things to do, not to mention that it may be the cheaper variant. 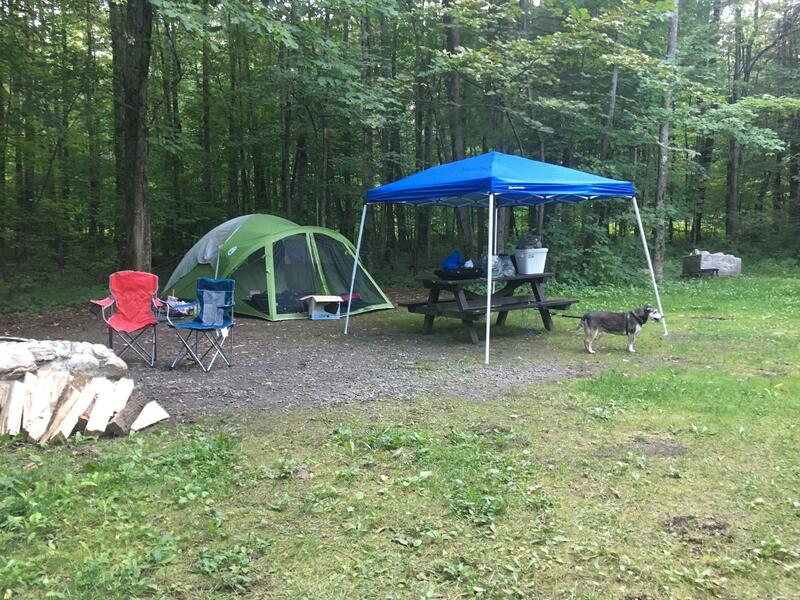 On the other hand, camping alone does have that peace-and-quiet allure, but it’s not cheap. Are you roughing it or camping with style? You should always keep in mind that not all campsites have all the amenities city people take for granted – running water, bathrooms and electric hookups aren’t always a given. Decide which way you want to go about it and stick with it. Now, if you’re quite ready to take your pick, it’s time to make reservations. Check the offer online, try and find special offers, coupons, one-time discounts… camping isn’t exactly expensive, but there’s no reason not to pinch a penny or two. Besides, making reservations is highly recommended if you’re headed for a state park, and even essential if you’re going to a big one such as Yosemite or Yellowstone. On that same note, make sure to book all the off-site activities you want to see – guided hikes, bird-watching, geyser-watching, boat rides, whichever jingles your jollies. Chances are you won’t be able to do it once you get there, so if you mean to squeeze in some off-site activities, book them on online. Caps lock, exclamation mark. There are plenty of things you’ll probably forget or not realize you needed until you reach the campsite, but it’s always a good idea to jot down a rough plan to have some structure. Then, every time you get back from camping, you add something to it, and one day, who knows, you might even print it as an official guidebook for new campers. All jokes aside, the real deal begins with checking the calendar. Be sure to pick a weekend, preferably one after a long-weekend, since this will almost guarantee there’s less traffic on the roads. And another thing – reservations tend to sell out the first week of booking, so you might want to stay up past midnight on the first day to grab your spot, especially if you pick a popular place. The next thing you’ll want to do is research the area in detail. Check out all the activities offered on the locale, all the guided tours, and prices. On that same note, be sure to find out everything about the local wildlife range and safety guidelines, if there are any. Most animals will avoid noise and humans in general, but you might be required to bring a bear canister nonetheless. Also, learn about the weather patterns in the area, and be sure to check out the weather report before you set off. ​While we’re on the subject, you should make sure to have a plan for every contingency. Bring plenty of layered clothes, insulated and waterproof clothes, as well as sunscreen. If you’re coming with an RV, bring a water purifier or a countertop osmosis filter. Short of that, just bring plenty of water (and we mean plenty). Also, pack extra supplies – if you’re doing a weekend, pack for a whole week. You might run into some friends, meet some new people, or simply decide on the spur of the moment that you want to spend some more time there. This is, incidentally, the time you’ll want to make the first rough draft of your plan. One piece of advice that many seasoned campers give is to use checklists for everything. Not a checklist – checklists, plural. You’ll need one for kitchen and food, another for the essential equipment (gear), yet another for clothing, then there’s one for car essentials, plus anything else you can think of that’ll make your planning more organized. Feel free to customize. It helps if you visualize one day at the camp. As an aside, it would be a good idea make a permanent checklist (or even a portfolio) that you can use before every trip. Planning your meals ahead is a real time-saver. Don’t get fancy and plan elaborate meals, just keep it simple. Foil dinners and hot-dogs will do just fine, but, once again, feel free to customize. Though, to be honest, there are few things that taste better than some doggies over a campfire. On a similar note, you should definitely go for s'mores for dessert. It may seem tacky to some folks, but tradition’s tradition and s’mores on a stick taste absolutely delish! Make a grocery list, and double-check it. While you’re at it, be sure to run all your kitchen equipment through the dishwasher before you pack (you’ll need dishes, cutlery, and utensils, as well as an odd pot and pan). Chances are there’ll be a campfire ring already set, and most sites allow collecting fallen branches, while some even provide firewood. In other words, the only thing you’ll have to bring in this regard is some sort of a fire-starter. Forget about lighting the fire with sticks or flint stone, there are matches and lighters for that. Run through the grocery list one more time before leaving, and remember to stop by the store on your way there. Granted, you can always find a store near the site (especially if you’ve remembered to research the area, as we suggested earlier), but there’s a real chance that the prices might be slightly higher (supply and demand, as it were). As we noted earlier, you should keep a weather eye on the weather patterns and reports, so that you may pack your clothes accordingly. Still, there are some things that never change, and one of those is the fact you’ll need to pack layered clothes (it would appear everyone’s mother in history was right on that account). Now, depending on your destination, there are many variations, but here are some suggestions. Bring mixed clothing and shoes. Be sure to have a good pair of boots, for mud, or going through shrubbery and/or tall grass. Also, have at least two pairs of sneakers, so that you have a pair to wear while the other is drying (don’t ask, you’ll understand it soon enough). Bring some sort of waterproof clothes (a raincoat is nice and to the point), as well as warm clothes (plenty if it’s fall or spring, a couple of things if it’s summer), and make sure it’s breathable (cotton’s a great choice). Above all, leave all the good stuff, such as your prom dress or whatnot, back home. You don’t want to risk it out in the boonies. While we’re on the subject, you’ll want to bring some shades. It doesn’t matter if they report cloudy weather, the moment the Sun is aware you’re not wearing them, it’ll punch through them and blind you. On a more serious note, you should take some sun protection, especially if you plan to camp near water. Add some sort of bug repellent to the list, as well as a flashlight or a headlamp. Oh, and for the love of everything that is holy, bring plenty of toilet paper! Whichever way you decide on getting to your campsite, whether it was by car, bus or backpacking, you need to pack your things the right way (oh, yes, there is a right way). There are essentially three vertical zones to any pack – the bottom area, the core area and the top area. You’ll want all of your bulkiest stuff down at the bottom, as well as anything you won’t need until you’re ready to set the camp. Think sleeping bags and/or sleeping pads, your sleeping clothes (pajamas, special underwear, whatever – we’re not judging), as well as any footwear you plan to be in at the site. The middle zone, or core, should have the heavier things. If you’re backpacking (or taking a bus), this will help with the balance, but if you’re going by car (and pack everything in the roof box), it’ll prevent lighter stuff from being squished. So, things such as your stove and cooking kit, water, canned food, bear canisters, or liquid fuel, all of these go in the middle. This part relies a bit on your own common sense, so there’s no need to go too much into detail. The gaps in between all this stuff should be plugged using soft stuff, so use any extra clothing, the body of your tent or camping hammock, rainfly tarps… you know the drill. The zone at the top is dedicated to anything you’ll need to access quickly or things that are too squishy to go in the middle. The first thing that comes to mind is the first-aid kit, then emergency kits, jackets, and raincoats, snacks, water bottles, as well as baby wipes and a roll of toilet paper (trust us on this one). As far as the really bulky things go, such as camp chairs, air mattresses, tent poles and stakes, flippers (in case you’re camping near a lake), all of these things should be either packed in their own carry-bags (if you’re going by car) or lashed onto the frame and daisy-chain of your backpack (if you’re going on foot). Got any Idea of How to Get There? There are two ways to get to your campsite – on wheels or by the shoelace express. If you’re going on foot, there are two essential things to keep in mind – one, hydrate yourself before you leave, and two, eat well in the days leading to your trip. If, on the other hand, you’re traveling by car, you’ll want to check the coolant, oil, and tires, and make sure they’re at proper levels. Also, make sure you bring a spare tire and fill up the tank (a canister of extra gas couldn’t hurt, either). On a similar note, check if you have a map with your destination charted in (or a GPS device), and bring plenty of snacks and drinks for the road, as well as some board games, and make a mixtape for the sing-along (your kids might not be thrilled, though). A good idea, especially if it’s your first time camping, is to practice putting your tent up, as well as practice using the first-aid kit (you never know). Set a couple of afternoons for that in the weeks leading to your trip, and make a family activity out of it. Everyone will be happy to pitch in, and you’ll be able to work out a way to relegate duties, so everyone will know what to do once it’s time for the real thing.